Recently I was in Dubai, UAE, teaching two classes of Avid Media Composer. 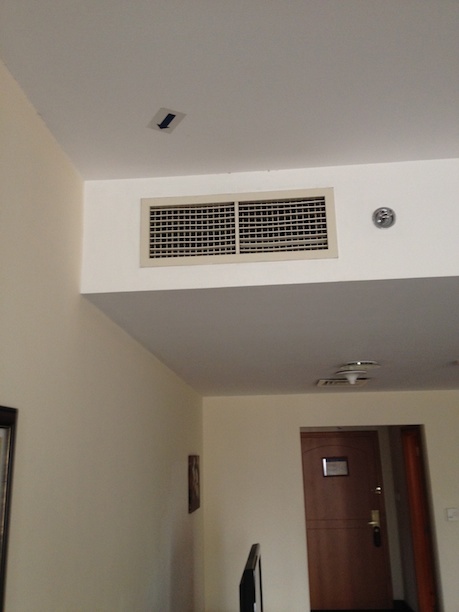 On the ceiling of the hotel room there was a black arrow pasted near the air conditioner’s vent. See the picture. In the next post, I will explain it. Stand in this corner in case of tidal wave.